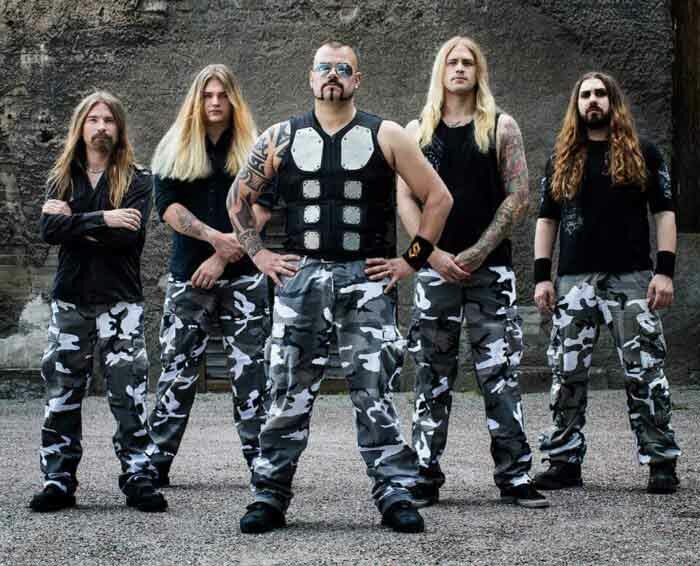 Military history obsessed Swedish power metal and glam rock band Sabaton is now advertising for and having their music featured in the Belarussian massively multiplayer tank shoot-out game World of Tanks according to Blabbermouth. World of Tanks is a Russian free-to-play, usually pay-to-win game that plays like a slightly more realistic, team based version of Battlezone. Players can choose to drive hundreds of tanks from the 20th century with the ones recently added to the game that players usually have to shell out to use being slightly more powerful before being nerfed into mediocrity. The game is most popular in Eastern Europe and East Asia among teenage boys. The year was 1993, and Western society’s appetite for ultraviolence was steadily growing, as perhaps evidenced by our knowledge of the period’s death metal. Besides the music industry, other forms of entertainment embraced this, including Id Software, which at the time was a small but successful video game developer who increasingly specialized in first person shooters. Doom used much of the same technology as Id’s previous games in the genre, but due to better technology and marketing, it sold enormously more copies and understandably exerted more influence on game culture. Particularly interesting to us at DMU was Id’s decision to incorporate metal music into Doom. This wasn’t the first video game to showcase a straight up heavy metal soundtrack; that honor most likely goes to Rock’n’Roll Racing on the Super Nintendo, six months before the release of Doom. Rock’n’Roll Racing used synthesized covers of several popular heavy metal and hard rock tunes, but Doom arguably went a step further by using nominally original music. Robert Prince’s compositions for the game (and its immediate sequel, Doom II) are split between these ‘metal’ tracks and more ambient, downtempo tracks. The music of Doom is definitely inspired by contemporary popular metal works to the point of near plagiarism; Prince mentions on the fan site Doomworld that Id initially asked him to do a contemporary metal soundtrack. Other sources mention that Prince relied primarily on the game’s design documents to inform his efforts and had limited contact with Id’s employees during the process. Regardless, tracks here are often just a few notes off from literally being rehashed Slayer or Metallica or one of the other popular bands that inspired this music. Song structures and everything else is understandably simplified, as video game music generally has to loop and can’t afford to be too prominent or obnoxious lest it be muted by an irritated player. It is still a reasonably appropriate backdrop to Doom‘s mixture of gun combat and labyrinthine exploration, although some players here will just use their death metal collections instead. While streamed, sampled audio was common in video games by 1993, Doom initially used sequenced music, presumably to save on storage space and to avoid locking out potential buyers without access to a CD-ROM drive. The soundtrack was originally composed for General MIDI-compatible devices like Prince’s synthesizers, but on the average computer of the time, it’s most likely the soundtrack’s metal simulacra would play through one of Yamaha’s FM synthesis chips. The main problem with the OPL3 version of this soundtrack is a hardware one – while capable of producing a wide variety of sounds, the OPL3 suffers from severe anemia, particularly because of its weak percussion abilities, and therefore this version belies the music’s instrumentation. 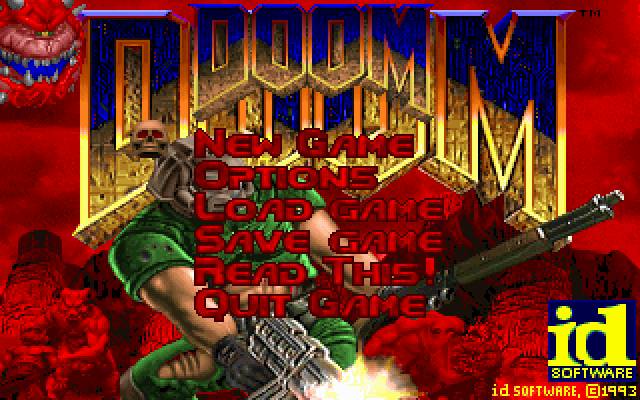 Doom was, however, quickly ported to many other computers and consoles in light of its commercial success, where it would run into all sorts of technical limitations. Everyone involved in the ports handled the soundtrack differently, ranging from the complete omission of music on the Atari Jaguar, to rearrangements of various quality, including the infamously bad Sega 32X version, and even the Playstation port, notable as its main composer (Aubrey Hodges) contributed his own, original soundtrack of dark ambient music instead of using Prince’s work. The most “authentic” way to experience the soundtrack is probably Prince’s Doom Music compilation, which showcases much of the music performed on its original synthesizers; any additions are at least intended by the original author, although I still find the ability of mid-90’s electronics to mimic a distorted guitar underwhelming at best. I doubt Id was specifically planning to popularize metal music when they released Doom, but they probably did a great deal in that regard, even though by 1993, mainstream metal was on the verge of commercial collapse and/or Pantera. The correspondence between common metal imagery, and the game’s demon-slaughtering violence and hellscapes is too obvious to ignore, though. Doom presumably sold more copies for pushing computers to their limit and being graphically violent, but the soundtrack’s decisions definitely paved the way for more and better-known works to feature metal as a soundtrack. In the process, it’s won such fans as Trey Azagthoth of Morbid Angel, who even made his own content for the game (although unfortunately, he didn’t bother to include his band’s music). 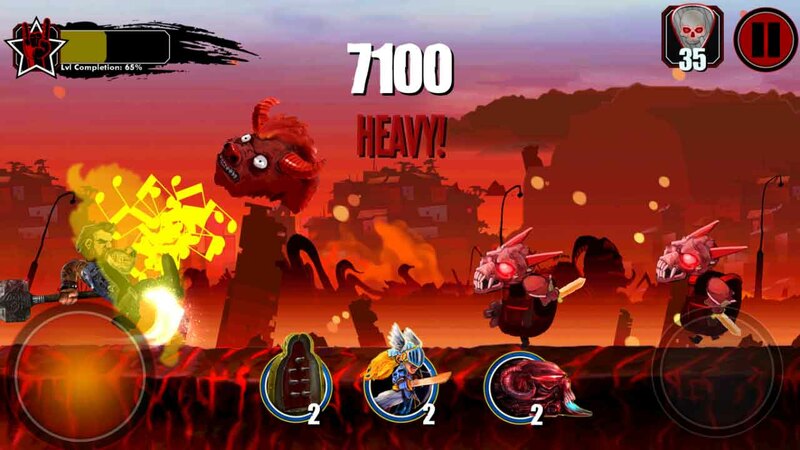 The heavy metal and hard rock news site Metal Hammer is releasing a mobile game entitled Metal Hammer: Roadkill. So far, screenshots suggest a fairly basic action game presumably inspired by endless runners such as Canabalt; the gimmick this time is that it incorporates rhythm game elements and a soundtrack of prominent metal musicians. Given popular trends in the mobile gaming industry, this will probably be released for free and earn most of its revenue through in-game microtransactions, but until the game releases, any speculation on the subject is empty at best. Roadkill most likely serves best not as a specific promotion (although it might turn out to be financially lucrative), but more as an example of the distance heavy metal news sites may need to go to secure funding and label attention in the future. We probably won’t be seeing the folks at Metal Hammer write any critical reviews of Nuclear Blast’s roster for quite a while. The game releases on October 15th for iOS and Android devices; you can read the official story at Metal Hammer’s website.